There’s a lot to process in this photo. This is, I think, the best outfit Kaley Cuoco has ever worn. Perfect for a daytime talk show. Lots of people are posting “this looks like pajamas” in the comments, like that’s an insult or something. 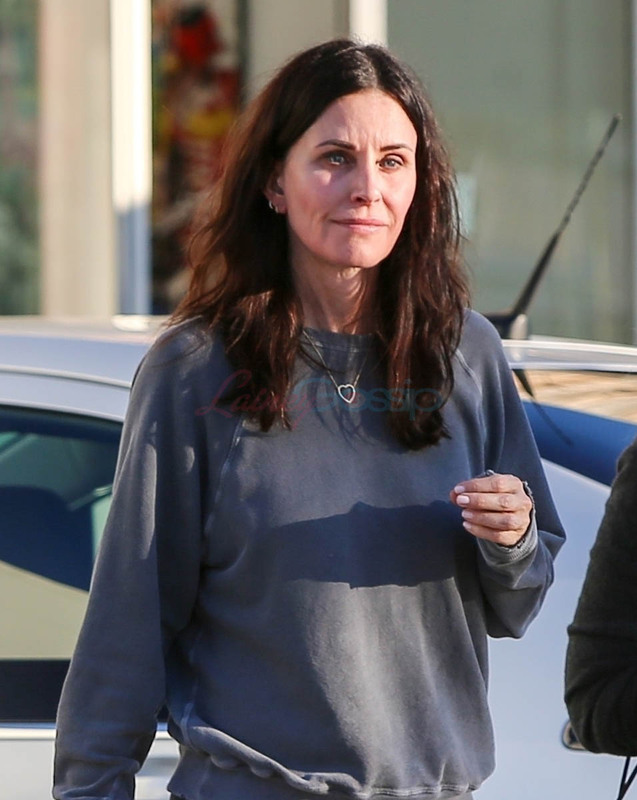 Courteney Cox joined Facebook in December, and now she’s on Instagram. What is behind this social media push? Will she finally convince Jennifer Aniston to join? Also, dogs. Kenan Thompson has also joined Instagram. How old was his old phone that he couldn’t get Instagram? I’m not a big SNL fan, but I would wholeheartedly agree that Kenan is underrated. There’s been a lot made about Priyanka Chopra and Nick Jonas’s wedding, but most of it is missing any kind of cultural context. Priyanka had 200 people are at her wedding, which is not huge by her family’s standards (nor mine – I had more people at my wedding and have been to many 500+ weddings). Listening to the audience giggle about the three-day ceremony (standard in her culture) is annoying as f-ck and Priyanka is quite patient in explaining to Ellen (who can only offer sarcastic asides) why her mom wants to invite her hairdresser and jeweler. I get that they look alike and are both named Kate, but why would Kate Beckinsale be holding a bouquet of flowers and doing the royal wave? Just have some dust in my eyes.